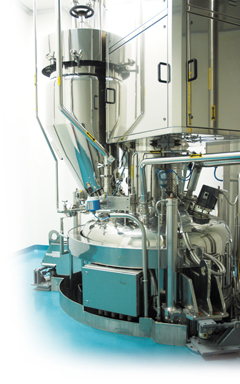 Indena HPAIs contract manufacturing services include a full range of high-power manufacturing capabilities for active pharmaceutical ingredients on a wide range of scales. The combination of Indena’s expertise and top class facilities delivers products and processes from small scale GLP batches for toxicology, cGMP batches for clinical trials to large-scale commercial manufacturing. Indena’s Highly Potent Contract Manufacturing site is in Settala (Italy) and meets US-FDA, ICH and EU requirements. This facility incorporates appropriate room pressurization, airlocks, ventilation and isolators to properly handle highly potent solids and liquids up to 0.1 μg/m3 OEL (Class 4).